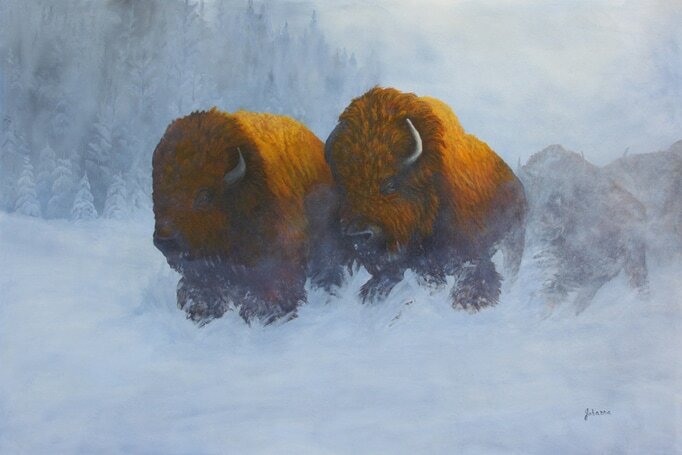 This painting depicts a herd of Buffalo stampeding through the snow, which reminds me of my time in South Dakota. I watched the Buffalo herds while a few of them stampeded through the fields. I was fascinated by their massive size and strength as they moved thunderously through the fog.